Because the executive summary will be one of the first things a reviewer reads, make sure that it persuades her to continue reading your grant proposal and then delivers, quickly, the basics of what you are asking for. Here is where you convince the grant reviewer that your proposed program is necessary, and help her understand the urgent need for the program and the results you expect from it. Also, you must convince the reviewer that your organization has the expertise to accomplish this important task. 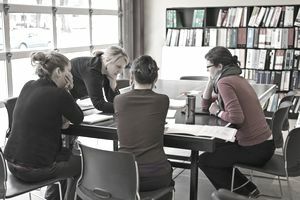 After the cover letter, which first makes the connection between the funder's interests and your grant proposal, the summary may be the hardest part of the proposal to write because it demands both completeness and brevity. You must explain the main points of the entire proposal as simply as possible. At the same time, you must make it interesting to read, so that your proposal will stand out from all the others a reviewer might see on a typical day. Be sure to avoid common mistakes like focusing more on problems than solutions. Identify the key points in each section of your proposal and include only those points in the summary. Highlight the key points that you know are important to the funder. Which ones match the funder's interests? Be consistent. Don't introduce new information at this point. Only use information that has already appeared in some part of your proposal. What does your organization do? What is its mission? Identify yourself clearly. What are the proposed program's title, purpose, and who will it help? Describe the specific need you're meeting and the project's objectives. Why is this project important? What problem does it solve or remediate? What will the project accomplish? And how will you recognize success? Why should your organization do this program (as opposed to any other group)? Summarize your competencies and experience. How much will the total project cost? How much are you asking from this funder? How will this project be funded in the future? Do you have partners or grants from other funders? Make sure the summary is brief. Try for no more than one page with 4-6 paragraphs. Thank the funder for considering your request. The Some City Senior Center was established as a 501(c)(3) organization in 1994 by a group of six seniors ages 60 to 82 who wanted to create a place with activities and support services that would cater to the specific needs of seniors. The Center addresses the health, social, recreational, and logistical needs of the elderly population in four cities. We are the largest senior center in Any County and serve more than 450 older adults each day through a wide variety of programs. Our mission is to help seniors improve and maintain a healthy and independent lifestyle and to maximize their quality of life. We are conscious of the changing demographics in our center's service area and are committed to growing and adapting our center to meet the emerging needs. The Senior Latino Community Outreach Pilot Project will provide comprehensive access to health and social services to the seniors in the Latino communities served by our center. Program objectives include ensuring that a minimum of 75 Spanish-speaking seniors with Type II diabetes maintain stabilized blood sugar levels for three consecutive months; increasing by 50% the number of monolingual Spanish-speaking seniors who access the services of our center for the first time within the grant period; engaging a minimum of 50 Latino seniors in our new healthy Mexican food cooking class; and increasing our referrals of Latino seniors from the community clinics and partnering nonprofit organizations specifically serving the Latino community by 50% within the grant period. After the pilot phase of the program has been completed, we are committed to phasing in access to our center's other programs. The Center plays a vital role in the lives of seniors in Some City, Valley Vista, Grove Beach, and Hill Viejo as evidenced by our 92% approval rating from our clients in 2007. These four cities account for 30.8% of Any County's total senior population (which is 15.2% of the county's total population). Our four-city service area has a rapidly growing older adult population, which has nearly doubled since 2000 and is expected to double again over the next two decades. Nearly 50% of our seniors are living below the federal poverty line, and it is estimated that cumulatively, Latino seniors--both bilingual and monolingual--make up an ever-growing segment of total senior population in our service area. We believe that this project will introduce our center and services to an extremely underserved senior population. As a result, we anticipate a rise in Type II diabetes self-management, fewer seniors who have no medical home, increased diversity among our clients to reflect the changing demographics of the cities we serve, and improved quality of life for those clients. The total cost of implementation of our Senior Latino Community Outreach Pilot Project is $190,000. Of this amount, $140,000 has already been committed from both county and city governments and other funders. Your investment of $50,000 will complete the funding we need to fully implement this pilot project, and we are excited about the prospect of partnering with you. Thank you for your consideration of our request.